Since time is FRACTAL, this means that after crossing the Event Horizon of December 21st, 2012 on December 22nd 2012, we started a whole new baktun cycle of 144.000 days (the 14th Baktun since the start of the Great Cycle of History) and also entered a brand new 7200-day KATUN that is coded by KIN 1 1Dragon. We also entered a NEW 144.000 day baktun cycle governed by number 13 on Traditional Maya Long Count. In simple words: Number 13 act as the “Baktun Bearer” of this entire 144000 day cycle that started on December 22nd, Long count marker 13.0.0.0.0.1. This 14th stage of the evolutionary process will come to an end on March 26, 2407 KIN 72. We will also expand on this later. 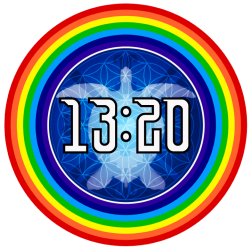 From the holographic perspective of Natural Time we can say that the current Baktun 14 (LC 13.0.0.0.0 – 14.0.0.0.0) marks the completion of one perfect half of a MASTER HOLOGRAM of 28 BAKTUNS. This KATUN coded by KIN 1 started on December 22, 2012 on Long Count Marker 13.0.0.0.1 (ALPHA Gateway) and will come to an END (OMEGA Point) in 2032 -09-07 on Long Count marker 13.1.0.0.0 (NS1.. The energy of Red Magnetic Dragon serves us then as an invitation to ask ourselves how can we birth a nurturing and regenerative culture for the future and RE-ALIGN our energy towards that positive Vision. Venus Cycles were carefully tracked not only by the Maya but by many other ancient cultures since the beginning of time. Why? With no GPS or satellites at the time, it was necessary to track, determine and understand the larger patterns and cycles in Nature. Studying the movements of our brightest stars to use them as celestial markers in the sky, became a method of orientation to navigate the earth by land and sea during times of climate-change and migrations. Now we can track these movements to navigate the Ocean of Time. ★ KIN 8 8Star+ KiN 9 will mark 9 Tzolkins since the last Venus Transit of 2012 (OMEGA Gateway of the 2004-2012 Venus Transit pair that started on June 4th,2004 (ALPHA Gateway). The 2012 Transit marked therefore the 5th Conjunction since from the preceding Transit of 2004. 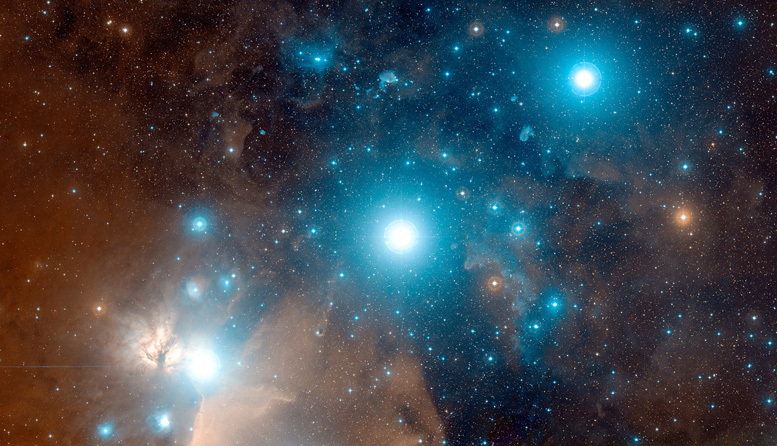 ★ Last KIN 8 8Star marked the entrance to a powerful nested synchronization portal: The Venus 8.8.8.8 Stargate. ★ We just completed the last 13-day period of the Tzolkin coded by the Star glyph (Lamat) symbolizing Venus. 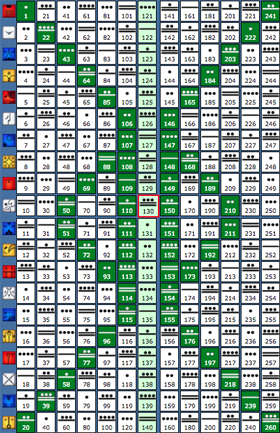 Dragon Genesis:KIN 1 to KIN 130 (10 Wavespells (1-10) / first half of the Tzolkin). Venus just started a new cycle in sync with the ALPHA Gateway of the Tzolkin Matrix. 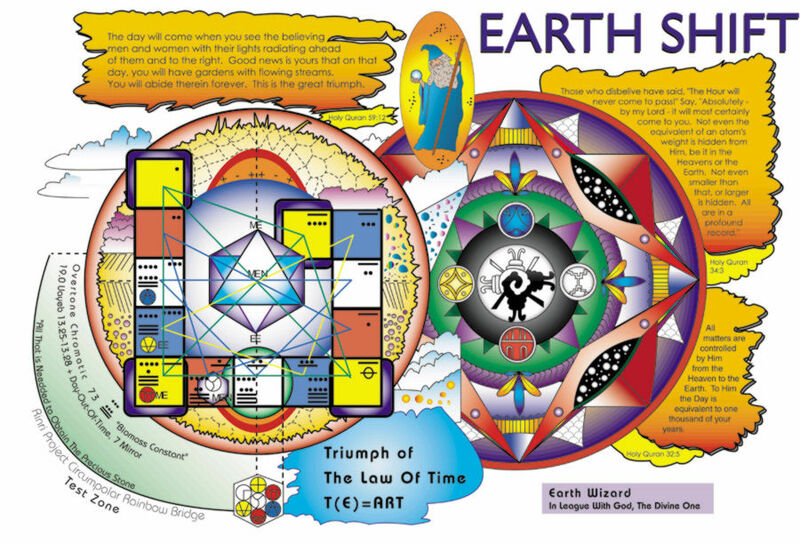 Timeship Earth. Five majestic castles of fathomless splendor bound into one by the spiraling gyre-like path of the Dreamspell Genesis. Not once, not twice, but thrice was this genesis originated. Carved into stone 4 Ahau KIN 160 (8 Kumku) appears also as the start of the Long Count 3113 BC. Next KIN 8 8Starwill take place on November 2, 2018 on the Gregorian calendar (2018-11-2) marking the END (OMEGA Gateway) of a 3-day TRANSITION window corresponding to the cross-quarter festivals and celebrations around the world that evoke Death and Resurrection. ★ The Resurrection of Venus is also taking place with the Sun on the zodiacal sign of Scorpio, associated also with Life, Death and Regeneration. 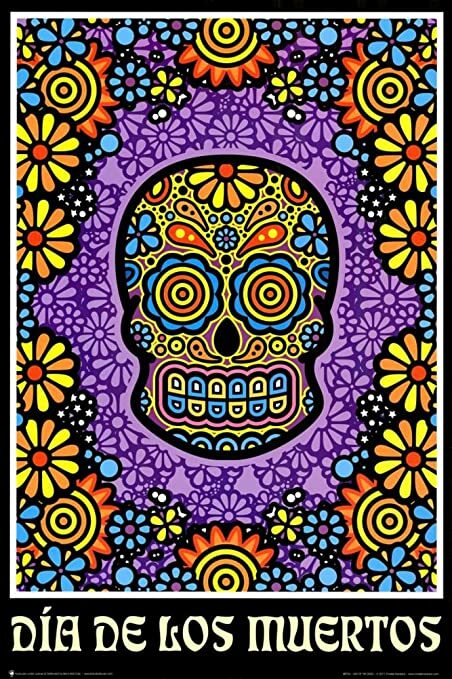 From the purely archetypal perspective, this festival reflects the cyclical Nature of time… Life, Death and Resurrection… The passing of the seasons and the recollection of the last crops before the arrival of the winter (in the Northern Hemisphere). 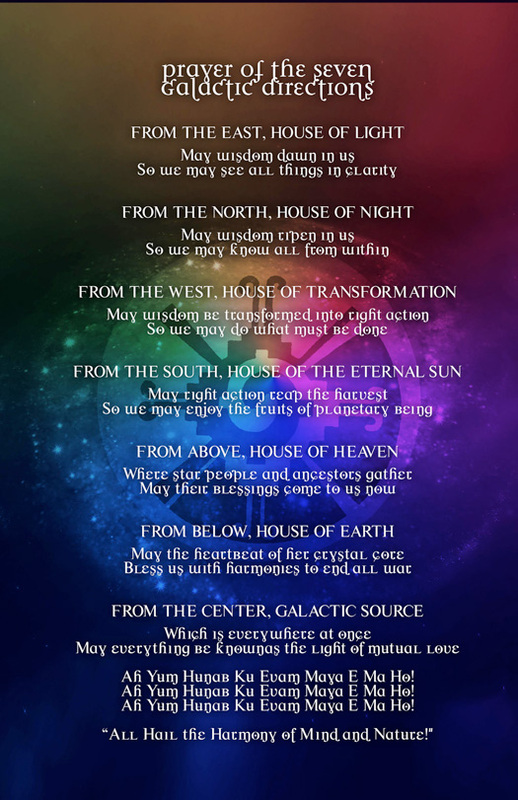 These fruits were offered during this time to the Spirits of Nature and to the ancestors as a way to GIVE THANKS for having provided abundance during the year… So this seems to be a perfect window for sacred ceremony and connection with our ancestors via the light of Venus Resurrection as Morning Star. It is interesting to note that that this 3 days correspond to the last 3 days of invisibility of Venus, before her Resurrection as Morning Star on November 2, 2018, KIN 8 8 Star, marking in this way 9 Tzolkins since the rare Venus Transit of 2012. VENUS Heliacal Rising dates 1993-2030 by Cayelin Castell. Venus shines bright in the sky above Victoria. Credit: Flickr/Indigo Skies Photography. As Venus starts to come out earlier she starts to gain altitude and also starts to grow in brightness. This is how Venus will be at greatest brightness next November 29, 2018 (NS1.31.5.15) KIN 35 9Eagle, EXACTLY 27 days after rising as Morning Star for (one sidereal cycle of the moon). Venus is considered Earth’s “Twin Planet” and usually represented by the 5-pointed STAR that both planets draw in the heavens every 8 years (4+4). ★ The last day (OMEGA Gateway) of the 4th leg of the 584-day journey that Venus and Earth started last March 25, 2017 ( KIN 201) during the 4th Conjunction of the series, closing in this MASTERFUL way the 65th Harmonic of the Tzolkin Matrix. ★ As presented on pART 4 of these series, this 5th conjunction is taking place then during the 4th moon of the 13-Moon year and synchronizing with the completion of 44 Tzolkins since Ground Zero of the New Dispensation of Time (June 23rd 1987). As we can appreciate number 44 self contains the number 11 four times. and the number 22, two times. This means that is a perfect holographic container for both Messengers of the New Dispensation of Time: José KIN 11 and Lloydine KIN 22. It also contains a perfect hologram of the 1144 years of the Quetzalcoatl Prophecy of 13 Heavens and 9 Hells. The purpose of mapping these celestial and historic events from the past is to gain perspective over large periods of time and establish new sets of time coordinates and time intervals that, over time, generate compounding resonance, revealing potent combinations of celestial harmonics and event patterns. This is the case NOW. ★ This 5th Stage of the Venus+Earth 8-Year Star Pentagram is taking place right after completing the 5th and final 52-day castle of the Tzolkin 260-day Galactic count. KIN 66 will mark the START (ALPHA point) of the 2020–2028 year cycle. What is the Fifth Force? The synchronization of Venus on KIN 1 means that starting the 9th day of this 4th Moon, KIN 1 1Dragon there are EXACTLY 9 x 65-day Galactic Seasons comprised within this 5th and FINAL 585-day Venus synodic cycle (9×65=585). ★ The Moon is coded by number 9 and that the rare Venus Transit of 2012 took place on KIN 9 9Moon. Venus+Earth Conjunctions in 104 Years. We are completing this 5th Conjunction milestone during the the 13-Moon year (KIN 169 = 13×13). It takes 104 years for Venus and Earth to complete 13 Pentagrams/RoseBuds in the sky. This period known as the Venus Round corresponds to 169 orbits of Venus around the Sun. ★ June 5/6, 2017, KIN 13-14 marked 5 years or 65 moons of 28 days from this most important celestial event of the 21st century ( we will also expand on this later). 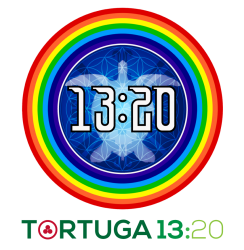 This POWERFUL synchronization window is inviting us to enter into resonance with the cyclical power of number 13. How is this? • KIN 169 (13×13) also codes the Venus Cycle 4-YearMidpoint Vortex Stargate. How is this? 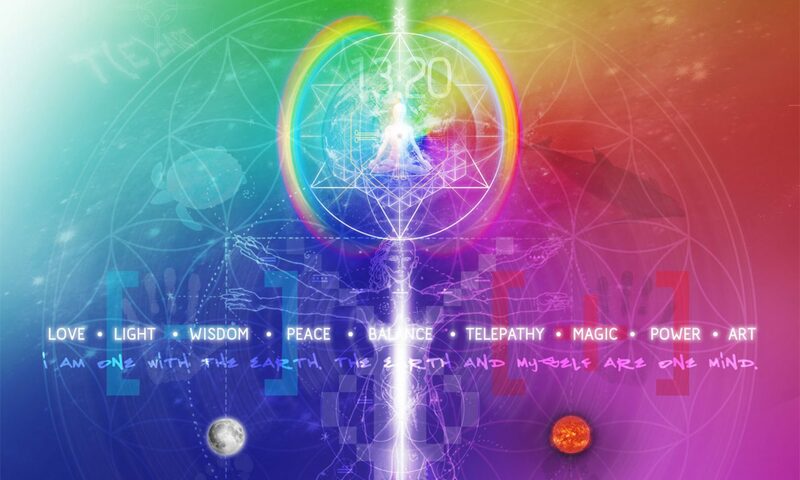 ★ KIN 169 (13×13) is coded by the numbers of Prophecy Seal 9, Tone 13. Cosmic Purification and Prophetic Redemption. Why Prophetic Redemption? Because during this Red Cosmic Moon year we are closing the first 28-Year Telektonon cycle since the New Dispensation of Time, and July 26, 2018 KIN 169 13Moon, marked the entrance into the LAST UNIT (OMEGA POINT) of the 28-YEAR TELEKTONON of PACAL VOTAN that started in the year 1991 . This 28-Unit Matrix holds the 16-Year Cube of the Law (1997-2013) at its core. ALPHA + OMEGA OF THE RARE 8-YEAR VENUS TRANSIT PAIR of 2004-2012: 8 Tzolkins on KIN 8. Jose Arguelles defined this 8-Year Venus transit window as the Harmonic Conversion. As mentioned many times in the past, Planet Venus is also the orchestrating force behind the narrative of the Quetzalcoatl Prophecy of the “13 Heavens and 9 Hells”, that is now arriving to a NEW PROPHETIC FRACTAL MASTER MILESTONE during this 4th Moon : The completion of 11440 days since KIN 1 of the New Dispensation of Time. It is then of special prophetic relevance that this synchronization of Venus on KIN 1 (October 26, 2018) was followed the next day by the 91st Solar Return of Tony Shearer (KIN 222) on KIN 2 [2.2]. Tony Shearer was the original messenger of the Quetzalcoatl Prophecy of the 13 Heavens and 9 Hells, and the man who carried and transmitted this Prophecy to José Arguelles. TONY SHEARER • KIN 222. Oct 27, 2018 marked 91 (13×7) years since his arrival to Earth. 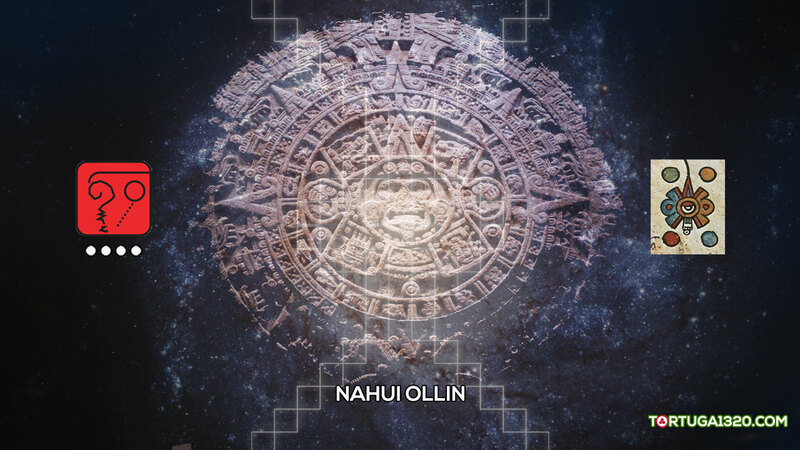 The multi-dimensional prophetic relevance of Venus within the Mayan prophetic narrative was presented in GREAT DETAIL on the report “The Telektonon Factor: 65Years of a living prophecy”, published last June 14th, 2017 KIN 22 (9+13) 9Wind. REMEMBER:The 5th phase of the Venus journey of resurrection will come to an end (OMEGA Point) on KIN 65 13 Serpent noted as 5.13. (65=5×13) and the next day, on KIN 66 Venus will start a new 8 Year and a new Star pentagram. This matrix is a chronograph designed to track the 5 STAGES of CREATION of the Venus+Earth Star Pentagram during their 8-Year Synodic period (2920 days). The 8-Year Venus Pentagram STAR Matrix is a function of the completion of 11440 days from the first day of the first Tzolkin of the New Dispensation of Time, corresponding to the 1144 years of the Quetzalcoatl Prophecy of the 13 Heavens and 9 Hells. It is therefore a TIME RELEASE PROGRAM, product of the manifestation power (10) of the 1144years of this Prophecy experienced as 11440 days since the inception of a new harmonic standard of time. ★ The 8-Year Venus Pentagram STAR Matrix is a function of the redemptive process of the dissolution of the “Old Time” and the entrance into the “New Time” or 2nd CREATION(Baktuns 13 to 20 ~ 2012-4772). 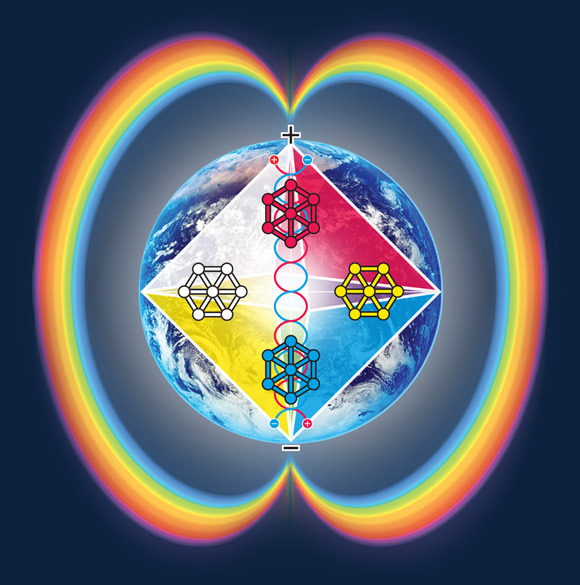 ★ Since this 5-stage cycle is ruled by the Golden Proportion, to re-establish the memory of this cycle is to re-establish our connection to Harmony. It is the first step in sounding the”5th Chord” (the “Lost Chord” according to Dreamspell Cosmology). June 5-6, 2017 (KIN 13–14) commemorated the 5th Anniversary of the 2nd rare Venus Transit of the 2004-2012 pair that took place on KIN 8-9 on the Galactic Maya count, completing in this way the double Transit cycle – Venus to Venus, conception to birth. ALPHA + OMEGA of the 5-Star Pentagram that Earth + Venus create every 8 years while they dance around the Sun. REVELATIONS 22: 13–16= The 5th anniversary of the Venus Transit of 2012 (OMEGA) on June 5th, 2017 corresponded to KIN 13 while the 13th anniversary of the Venus Transit of 2004 (ALPHA) on June 8, 2017 corresponded to KIN 16. Is the numerical occult significance of the Book of Revelations unveiling its mystery in due time? ★ The 12th position is 144: KIN 144 1Seed ~ 7.26.1993 ~ 1st day/1st Year of Prophecy ~ 144 (12X12) is the basis of Baktun Count and the key number associated with the New Jerusalem in the Bible. ★ 144 is the only number of the Fibonacci sequence that is a square and a circle (spiral) at the same time. ★144 degrees is the orbit interval in between Venus ~ Sun interior conjunctions in the sky almost every 584 days. 65=13 x5, frequency of galactic spectrum, ¼ 260, fifth forcemoved by power of cosmic cycle. On the other hand, the 260-day cycle also relates to cycles that are closer to home, so to speak. Barbara Tedlock, in her book Time and the Highland Maya (1982), tells us that there is a 260-day period between the planting and harvesting of corn in the highlands of Guatemala. Most importantly, the period of human gestation is roughly 260 days. The modern Quiche daykeeper Andres Xiloj explicitly offers this as an explanation for the tzolkin’s meaning. So, the tzolkin relates as much to organic processes on the earth as to celestial cycles in the heavens. Here we have the core of the tzolkin’s incredible properties: it unites terrestrial and celestial processes under one principle. Said another way, the tzolkin contains a single principle which operates equally in both the sky and on earth. Of course, this is really the “as above, so below” principle of astrology, but Mayan cosmology developed this insight with great ingenuity and sophistication. It should also be said that the tzolkin is therefore less of a human invention, and more of a profound insight into the organizational tendencies within nature. As such, it is a kind of Mayan “Unified Theory,” based upon a clear insight into universal processes. This is the general framework I have developed in my work with the tzolkin. 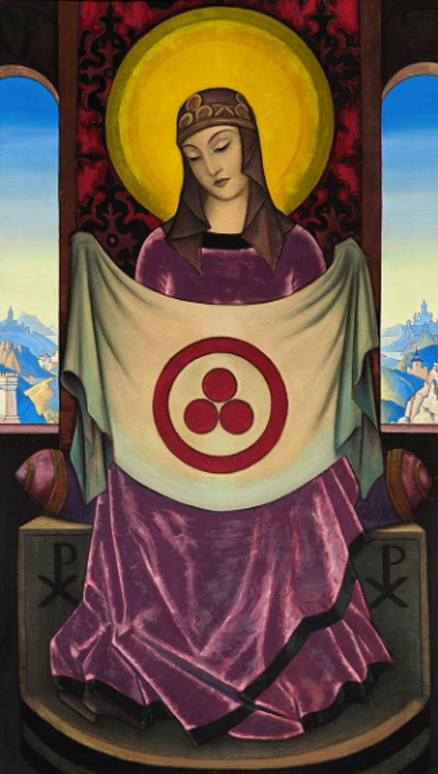 Venus has a profound relationship with the core principle of the tzolkin. In my books on the tzolkin I have put forward the notion that the principle at the core of the 260-day cycle is none other than the Golden Proportion. I argue this by looking at the mathematics and the philosophy of the Golden Proportion, and compare it to what we know, and the Maya themselves offer, about the tzolkin. The Golden Proportionis a unique principle in nature. It determines the spirals in pine-cones, seashells, the geometry of the human body and appears in many other organic processes. In the words of Jose Arguelles, it is the principle of “self-same similarity.” So, it’s not strictly about spirals. The modern Maya have lost the ancient Venus calendar, and what I present is a reconstruction based upon the simplest criteria. Thirteen of the 8-year pentagram cycles equal the Venus Round of 104 years. This is an important “big” cycle, because it represents the synchronization of the tzolkin, solar year and Venus cycles. This 104-year cycle is the Venus Calendar followed by the ancient Maya at cities such as Palenque and Chichen Itza. It began when Venus rose as morningstar in the east on the Sacred Day of Venus, One Ahau [KIN 40 1Sun]. This occurs only once every 104years. Because this gradually falls out of synchronization, problems arise. As noted above, and documented in detail on the report “Venus Transit syncs with Sirius rising“, the rare Venus Transit of 2012 on June 5-6/2012 ~ KIN 8 8Star and KIN 9 9Moon marked not only the start of the creation of a new 5-pointed Star between Venus and Earth, but ALSO the start of a MAJOR synchronization between Venus our closest neighbor and brightest planet in the night sky, with the heliacal rising of Sirius (the brightest star in the night sky) on July 25/26, 2014 KIN 8 + KIN 9. This synchronization process took EXACTLY 3 Tzolkins or 780 days. 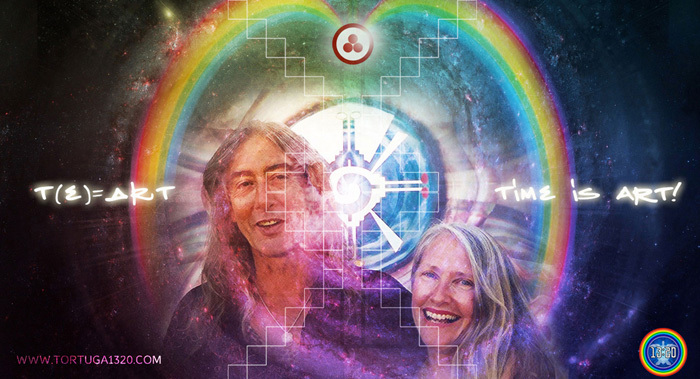 With so much noise, doom and chaos transpiring around our planet now, it is wise to focus our attention in the sacred harmony, elegance and beauty of the movements of our HOME planet in relationship to our TWIN Planet and brightest Star in the night sky, as they reach this climatic synchronic Vortex while they dance around the Sun. “Lord of the Dawn Quetzalcoatl, prophet and mythic complex of ancient Mexico is the patron saint or tutelary deity of the Harmonic Convergence. The Harmonic Convergence of 1987 was in commemoration of the completion of his prophecy of 13 Heavens and 9 Hells, and was celebrated worldwide as a global peace meditation. One writer refers to Quetzalcoatl as the magician par excellence, “He who knows the secrets of all enchantments.” He is a culture hero and bringer of the knowledge of astronomy, mathematics and the calendar. He is the one who initiates man into the mysteries of the interior life. He is often depicted as a plumed serpent, representing the marriage of heaven and earth. He is an alchemical cipher of the cycles and stages of transformation. He is associated with Venus and its synodic cycles of appearance, disappearance and reappearance as the morning and evening star. As a prophet he is known as Ce Acatl Topiltzin Quetzalcoatl – Our Lord One Reed Quetzalcoatl. He was born in the Christian year 947 in Amatlan in the present state of Morelos, Mexico. He was known as a model king of peace and promoter of the arts and culture, who was opposed to human sacrifice, and built his palaces in the city of Tula in the archetypal memory of the original Tollan, the city of the distant star born. After many adventures and wanderings, he departed on a raft of serpents on the eastern sea in the Christian year 999, traveling toward the dawn, vowing he would return on the year sacred to him, the year One Reed in the Nahuatl tradition, the year and day of his birth (1 Reed = 1 Skywalker, Kin 53). In the Mexica tradition this year last occurred in 1987, exactly 1040 years or 20 52 year cycles after his birth in 947. In the Nahuatl tradition, Quetzalcoatl is regarded as a multiple avatar and the first human to discover and convert himself into a “god”, i.e., to attain and realize his divine nature. Quetzalcoatl taught that human greatness grows out of the awareness of spiritual order. The era of Quetzalcoatl is that of the advent of the soul, the unifying center which is the essence of all religious thought. 1. Always be aware that God is ever-present; don’t despair or become cowardly, but remain humble in your heart and love God. 2. Be at peace with everybody, regardless. 3. Don’t waste your time. You have been given a precious opportunity in this earthly life; use it wisely and creatively. 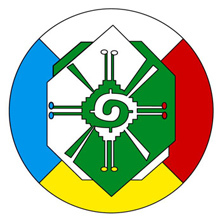 As part of the meaning of the Harmonic Convergence of 1987, the return of Quetzalcoatl signifies the awakening of consciousness during the 26-year Harmonic Convergence prophecy cycle, 1987-2013. In this regard, Quetzalcoatl is the awakened rainbow consciousness that characterizes the self-luminous entry into the noosphere. 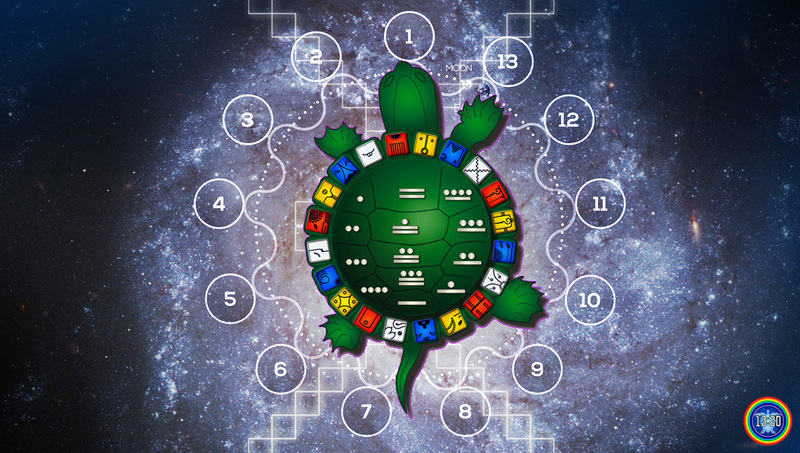 This is the meaning of the seven cycles of the Lord of Dawn and the Seven 144-day Cycles, Return of Sacred Power. May Peace, Harmony and Beauty prevail on Earth!